This is a unique opportunity for New School students and faculty to engage in conversation with a key actor on immigration policy. You may find a preview of his extensive work below. We hope you will all join us, and share with your New School networks. For those unable to join in person, we will livestream from the Zolberg Facebook page. This is a closed event for New School students, faculty and staff only. We encourage you to RSVP to Cayce Pack. Justice Cuéllar began serving on the Supreme Court of California in January 2015. A scholar of public law and institutions, he was previously the Stanley Morrison Professor of Law at Stanford and Director of the University’s Freeman Spogli Institute for International Studies. In the federal government Justice Cuéllar served as Special Assistant to the President at the White House, with responsibility for civil and criminal justice, public health, and immigration (in 2009 and 2010); Co-Chair of the Department of Education’s Equity and Excellence Commission (from 2011 to 2013); and earlier, Co- Chair of the Presidential Transition Task Force on Immigration (in 2008 and early 2009). Justice Cuéllar is currently on the governing boards of Harvard University, the Hewlett Foundation, the American Law Institute, and (as chair) the Center for Advanced Study in the Behavioral Sciences. He also leads the Language Access Implementation Task Force for the California courts. 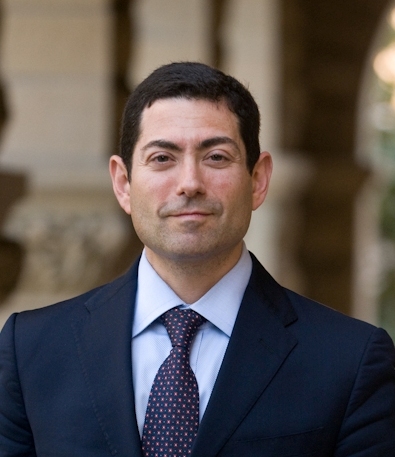 A naturalized U.S. citizen born in northern Mexico, Justice Cuéllar is a graduate of Calexico High School in California’s Imperial Valley, Harvard, Stanford, and Yale Law School. He began his legal career at the U.S. Treasury Department’s Office of Enforcement and clerked for Chief Judge Mary Schroeder on the U.S. Court of Appeals for the Ninth Circuit. Architecture, interior, lighting and product design students learn the skills of social entrepreneurship, integrated design and regenerative practices that collectively transform our cities into sustainable urban habitats.